According to Dominique Thimognier (personal communication), 'Saint-Elme-le-Duc' was a pseudonym and his real name was Jean Pierre Elme Leduc. Since he was known in the chess world only by the pseudonym, I list him here under that name. 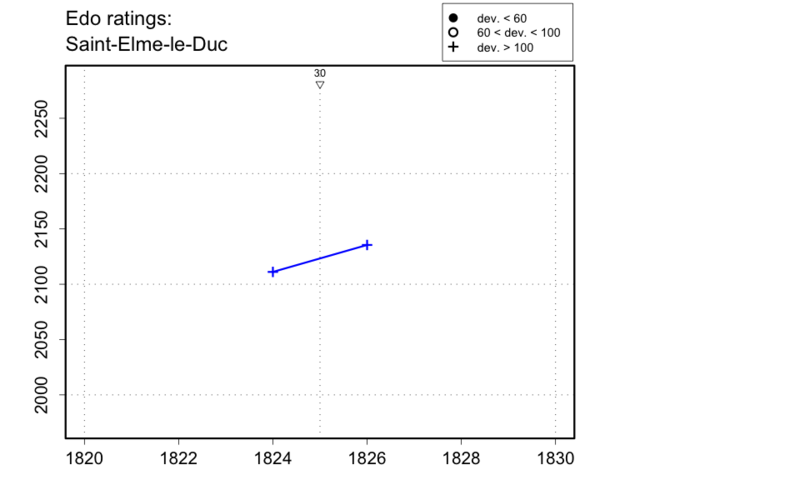 Thimognier also provided me with his date of death (20-11-1861) and age at death (66), from which one can deduce that he was born between 30-11-1794 and 29-11-1795.